You asked for it, and we listened! 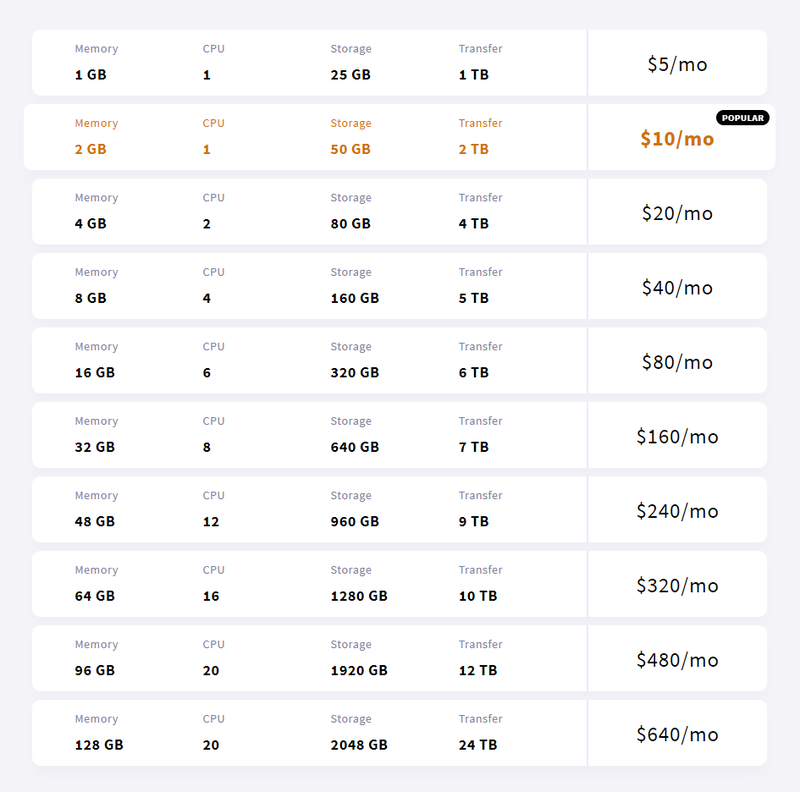 Today, we are launching a highly requested $5/mo plan for cloud servers. This is an especially attractive offer for our new users, who can experience our industry-leading performance with their own eyes for the cost of a cup of coffee! It also allows current users to run their applications and service at a lower cost but with the same reliability, they’ve come to expect from us. It’s never been more affordable or a better time to become an UpCloud user! In addition to the $5/mo plan, we are also adjusting the resources included in all the existing monthly plans. We believe these new plans strike a much better balance of resources while improving the price-to-performance ratio even further for you. We are also introducing new plans aimed at our users with larger requirements with plans offering 96+ GB memory, 20 CPU cores, 1,9+ TB of storage and more transfer than you can shake a stick at. We hope you are as excited as we are about these refreshed plans! We have a lot of really cool things planned for the next few months, so stay tuned for more exciting announcements. Please share any suggestions or feature requests you might have by sending us a tweet, chatting with us or dropping us an email – we love hearing from you! PS. Have you checked out our referral program? It’s a great way to give your friends a little gift while keeping your own costs down. UpCloud crowned best European cloud provider, again!